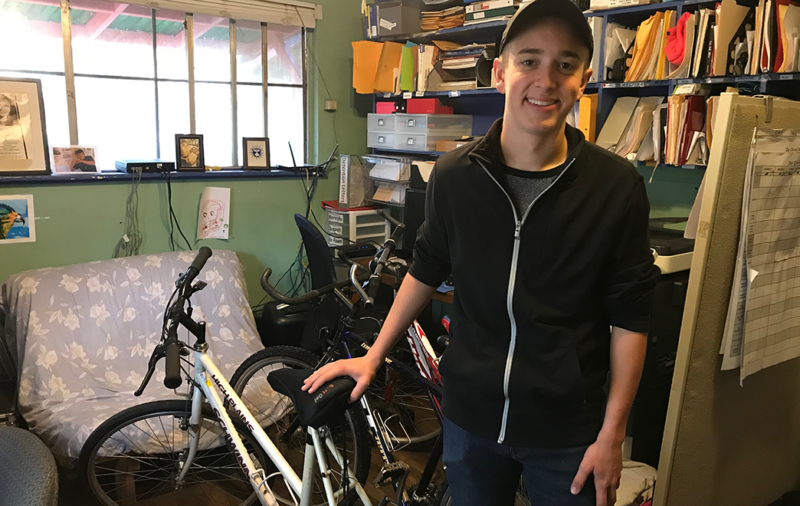 Dylan Bladen of the Boy Scouts has generously collected 13 bikes, repaired them, and donated them to Casa Marianella as his Eagle Scout project. Casa Marianella would like to extend a sincere thank you to Dylan Bladen and the Boy Scouts for their generous donation to the Casa Bike Program. Residents of Casa who are interested in a bicycle are added to a waitlist when they first arrive to stay with us. These bikes are a critically important and desired resource in a city as spread out as Austin. The Boy Scouts worked to collect and repair 13 new bikes for our program. As we distributed new bikes to the residents on the waitlist, smiles and gratitude overflowed. With a bike, our residents are immediately able to search for jobs, commute more comfortably to work, see more of the city and get a little carefree exercise. Nearly every resident now has a bike to use thanks to the generosity and dedication of the Boy Scouts!